When people think of pillows, they often think of comfort, and that is not wrong. Comfort is a big part of the quality of a good pillow. However, there is another very important issue to consider when looking for the right pillow for your bed—the support quality. This is especially true for side sleepers. People who prefer to sleep on their sides need a lot of extra support for their neck, so that the position they sleep in does not cause undue strain on their backs, shoulders and head. Back and Stomach Supporting Pillows: As soothing as sleeping on your side can be, it is also a position that causes general tension simply from having to hold a position that is less stable than back or stomach sleeping. Putting a support pillow behind your back, or in front of your stomach (and in the best case, both places) will provide complete support that keeps your body in position without straining muscles. The back and stomach support pillows need to be very firm so they do not flatten and lose their support under the strain of your full body pressure.The stomach supporting pillow is even more important for pregnant women who find the pressure on their stomach’s to be painful in most sleeping positions. Picking the right pillow for all of the supporting positions is easier than you might think. All side sleeper position pillows have the same things in common: they are firm and won’t collapse, and they are comfortably soft. 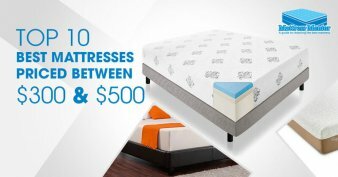 When looking for the best side sleepers, it is easier if you start with a list of the best ones that give you all of the specifics to help you make the best choice for your needs. Here are the top 10 best side sleeper pillows, and what makes them so great that you’ll never want another pillow. This is definitely one of the best pillows for side sleepers and Stomach Sleepers. 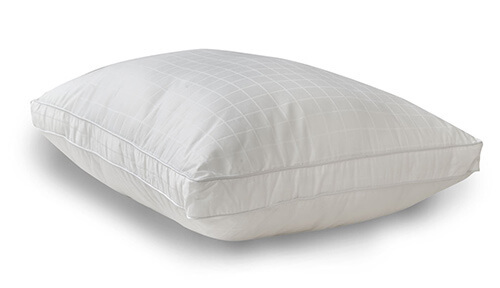 The Shredded Memory Foam side sleeper pillow by Coop Home Goods is a very heavy-duty pillow that will keep your neck in the perfect position for a good night’s sleep. At the same time, it is plush and soft enough to feel like you are sleeping at a 5-star resort. Its inner core is made up of durable, high-quality memory foam that is shredded so that it isn’t one, solid surface. Instead, it moves so that you can shape it, bend it or position the inner foam to match your needs. The shredded inner core allows air to pass through it easily so that it doesn’t accumulate heat as you sleep as well. This keeps your head cool, comfortable and the materials used are hypoallergenic and resists mites. The Shredded Memory Foam Pillow has a Viscose Rayon Cover derived from Bamboo that actually helps it keep cool and won’t absorb moisture the way a typical cotton cover does. It is completely machine washable. Just take the cover off whenever it gets dirty and toss it in the machine for both washing and drying, then slip it back on for a fresh night’s sleep. It doesn’t get easier. 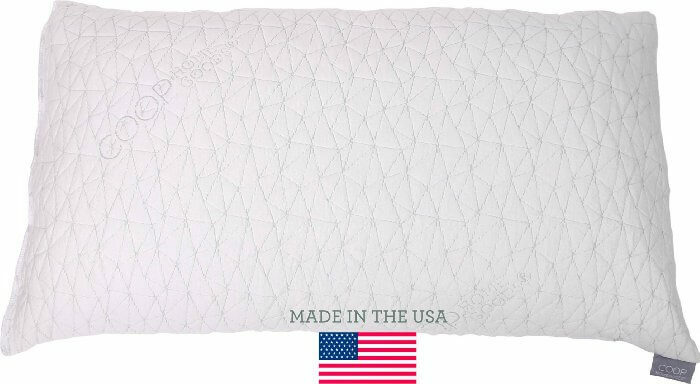 The Coop Home Goods side sleeper pillow is made in the USA, and because it is a reputable company, you can be assured of good customer service if you need help with your pillow at any time. It is backed by a no-questions guarantee, and is an affordable way to provide the best support for your neck and back while sleeping. The Snuggle-Pedic is guaranteed to never go flat, and it is made up of high-quality shredded memory foam for easy shaping, ultimate comfort and cool air flow technology. Unlike solid memory foam pads, shredded memory foam offers all of the support without the stiff, unyielding feel of a slab of foam. The small pieces inside the Snuggle-Pedic side sleeper pillow makes it easy to position in just the right way to provide comfort and support to any area of the body, and the queen-sized version is a great size for all areas of the body. While the Snuggle-Pedic Ultra-Luxury pillow is great for any sleeping position, it is best for side sleepers because of its thick, plush profile. 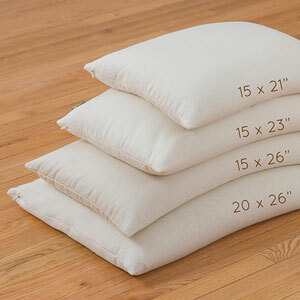 Side sleeper pillows need to be extra thick to fill the space between the mattress and your neck for support. Thinner pillows require you to fold them up to get enough material in that area to keep your neck straight. That just ends up destroying the common cotton filled type pillows until they are flat and shapeless. The Snugle-Pedic company offers a 20-year warranty on their luxurious shredded memory foam pillow, and excellent support to make sure you are satisfied with your purchase. The core of this superb pillow is made of V.O.C. Biogreen® material that is Certi-Pur-U.S. certified. It’s made in California, so you can be sure of its fantastic quality. Along with a great pillow, having a company with such a solid reputation behind it makes a big difference when buying a high-quality pillow. Good Life Essentials stands behind the products they make, and it is a US based company so you don’t have to worry about not being able to find them if you need help. 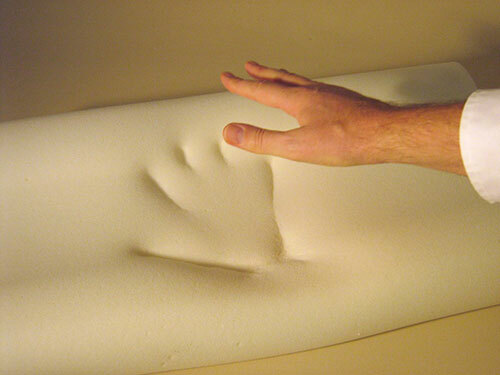 The Shredded Memory Foam Pillow is 100% made in the USA and is comprised of CertiPur-US certified foam. CertiPur-US is a certification created to ensure that the bedding and furniture is free of ozone depleters, mercury, lead or other metals, has no phthalates or VOC emissions and does not contain harmful flame retardants. In order to get the CertiPur-US designation, the material is tested by independent and accredited labs, so you can be sure that what you get meets the highest safety and health standards possible. The outer casing is easy to care for, and the bamboo material is eco-friendly, renewable material that is not only easy to care for, it works to keep you cool as you sleep just like the inner pillow does. Bamboo does not retain moisture or absorb heat, so you are comfortable all night long. If you prefer to sleep on a feather pillow rather than a thick memory foam pillow, the Down Alternative side sleeper pillow from Five Star is a great choice. The inner material is a soft, fluffy down fiber that gives you the plush feel of luxurious down, but without the allergic reactions, the prickly feather ends poking through and the mess of little pin-feathers escaping through the cover. Inside this marvelous support pillow for side sleepers is a soft microfiber that cushions your head but is still plenty supportive for your neck. The profile is wide and thick to support your head and keep your spine in line, but if you tend to move around a lot, and turn onto your stomach or back along with sleeping on your side, the Down Alternative pillow has the added benefit of being forgiving enough even for stomach sleepers. In order to make sure this pillow never flattens out completely, the casing is made with a 1.5” gusset around all four sides. This also lets you move around during the night freely without having to wake up and fluff or turn your pillow to make it regain its shape. The outer shell of the Down Alternative pillow is 300-thread count cotton for hotel-like comfort. It is machine washable inside and out, and is guaranteed to maintain its loft. For the most supportive side sleeper pillow, this pillow one of the best. Its gusseted side stitching creates a soft, yet firm platform that won’t bend or twist, but that also means it won’t let you end up without the right support in the middle of the night. The inner core of the Iso-Cool side sleeper pillow contains both luxurious spiral spun polyester and a powerful visco-elastic core foam for a firm support system. The outer padding is filled with tiny microbeads called Phase Changing Material (PCM) that actually can tell what your body temperature is, and adjust the way the pillow absorbs heat so it is never too warm or too cold. The cover is made of a durable 300-thread count case that is soft and soothing. It zips to easily remove the top to clean, and is completely machine washable. The large 16 x 22 size is great for all areas of support. While this pillow can seem heavy, it is actually a wonderful weight once you get used to the differences between a solid support side sleeper pillow and a common department store pillow. For the ultimate in support in a solid memory foam pillow that is extra thick and luxurious for side sleepers, the Z is a great choice. 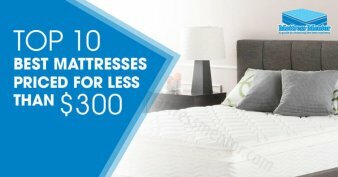 Unlike a solid piece of memory foam that can get hot due to the way heat gets trapped inside, the Z 100% Natural Talalay Latex Zoned side sleeper pillow has thin, drilled precision tubes running through the foam that create a comfort zone of air control, so heat escapes and keeps the pillow cool. 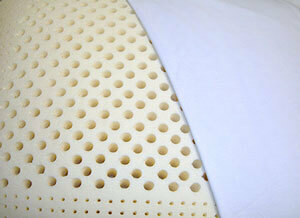 The Talalay Latex is different than traditional latex memory foam in other ways too. It is more resilient, giving you a quicker adjustment as you move through the night. It conforms to your body faster so that as you shift, it is always totally supportive, and Talalay latex is also naturally mildew resistant and hypoallergenic. 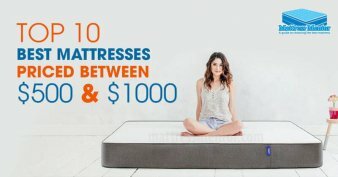 Not only does the unique zone makeup of the Z side sleeper pillow keep the surface cool, it also helps ease pressure on your joints by allowing some give that some other solid memory foam pillows do not provide. The cover is a patented blend of bamboo and rayon that is soft, soothing and won’t absorb moisture or heat. At the same time, it is easy to remove and cleans quickly in the washer and drier. Classic Brands is a company with a long tradition of producing high-quality bedding like the Conforma side sleeper pillow. 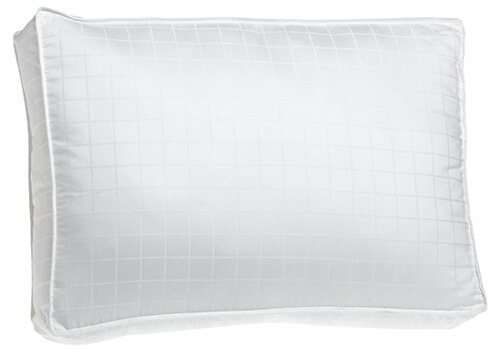 This is a cool, ultra-supportive pillow that has a cotton cover for soft, soothing comfort. The Conforma is 5 inches thick for maximum support. Its solid memory foam padding keeps it from shifting during the night, and the precision air flow tunnels give it a cool and relaxing surface. It is 16 inches long to offer great body support for the back or stomach, and it is hypoallergenic and mold resistant. This deep, soft side sleeper pillow is designed to keep its shape no matter how much you toss and turn. It is covered in 300-thread count, 100% cotton for smooth, luxurious feel, and stuffed with micro denier gel for one of the most versatile support pillows you can get. Gel fiber sounds like a liquid, but they are really small, shock-absorbent fiber beads that are more comfortable than shell, bean or other fillings. They move and conform to your body shape with ease, yet still provide gentle support. 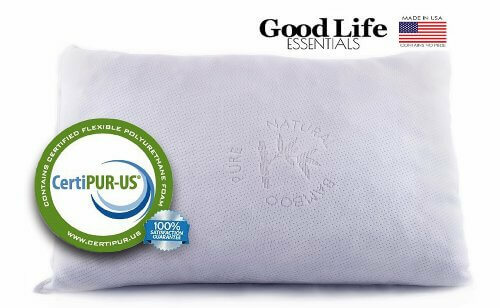 The Gel Fiber Side Sleeper Pillow is made in the USA and it is easy to wash. It can be put in the washing machine on gentle, and air dried. The enclosed gel fibers are hypoallergenic, and resist mold, mildew and other allergens. The sides of the pillow are surrounded in heavy-duty gusset ribs to keep it in position. Designed by one of the leading manufacturers of sleep systems, the Mediflow Original Waterbase Pillow is backed by Mediflow’s satisfaction guarantee. It is made in the USA and is very easy to care for. 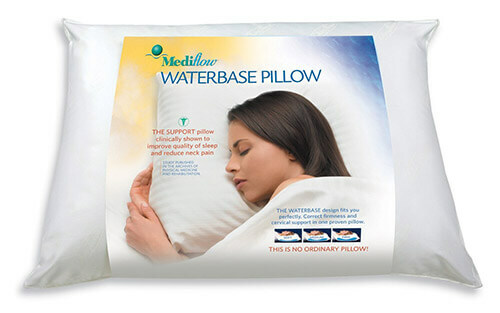 A waterbase pillow is a lot like a waterbed mattress. It is comfortable and soothing to lay on, yet forgiving and supportive to keep you in the correct position while you sleep. Inside the Mediflow Original Waterbase Pillow is a rugged and durable liner that is fillable. You add the water you need to make the pillow the perfect height for your needs. Because you can add or remove as much water as you need, the Waterbase side sleeper pillow is the perfect way to ensure you are going to have just the right height to keep your head in position. Since not everyone is built exactly the same, it is more difficult to get the same fit with an ordinary pillow. The case of the Mediflow Original Waterbase Pillow for side sleepers is constructed of comfortable 100% cotton that stays cool all night long while the water filled inside responds to your every move as you sleep. The Buckwheat Pillow is an ingenious twist on the comfort of a bean bag. Like its bigger cousin, this side sleeper pillow conforms to your shape exactly, and the inner Buckwheat shells do not allow heat to build up. The materials used to fill this superb side sleeper support are organic, thoroughly cleaned and chemical free. The cover is made of strong and resilient cotton with an invisible zipper closure so you can add or remove the inner contents to create the exact thickness that is right for your personal taste and needs. The Buckwheat Pillow by ComfyComfy comes in four sizes to fit every need. It even comes in a travel size so you never have to be without your best sleep aid. Now that you know what each pillow has to offer, it is up to you to choose which one will be best suited to your needs. In order to do that there are a few things you should keep in mind to determine what you will be most comfortable with. Material: Side sleeper pillows are made from several different types of materials including memory foam, water, bead, gel or buckwheat shell inserts and standard cotton fiber. The differences add up to how much give you want your pillow to have. When sleeping on your side you do not want your head to be able to sink into the pillow too far. Because side sleeper pillows are made of thick, resilient materials, they do tend to be heavier than what most people are used to. Company Reputation: If that doesn’t seem like a quality that pertains to the pillow, let me assure you it makes a big difference. All good side sleeper pillows should come with a guarantee. 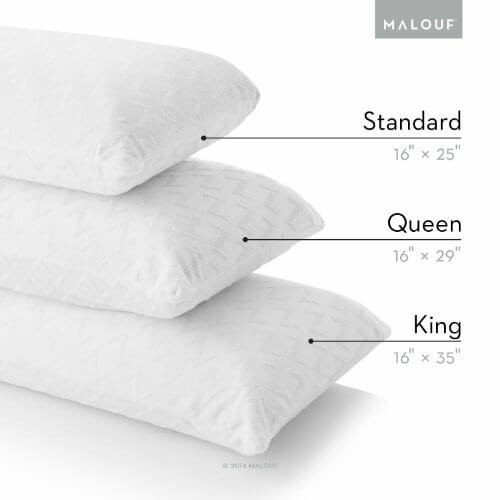 While the pillows listed here are good values for their quality, they will cost more than a common, ordinary pillow. That means you want to be sure it will be covered by the manufacturer against flattening out, damage or other issues you might have. A strong company that backs their merchandise can also help answer any questions you might have regarding your pillow once you receive it. Formed or Moldable: Some people like a pillow that will stay perfectly shaped throughout the night no matter how much they move. Other people like a pillow that can be tucked and twisted to fit into the way their bodies are lying. If you have a habit of putting an arm under your pillow, or want a side sleeper pillow you can have under your neck but also wrapped to support your upper back, you don’t want a pillow with gusseted sides or a solid memory foam pad. Shredded memory foam, gel fiber, water or buckwheat filled pillows are a much better alternative. Who is Using the Pillow? If you are buying a side sleeper pillow just for yourself, then one size or type of pillow will be perfect. However, if you are buying several pillows so everyone in the home has one, and they can also be used for guests, a better choice is an adjustable styled side sleeper pillow like the water-filled or buckwheat filled side sleeper pillows. Young children and pregnant women need different kinds of support: Children who like sleeping on their sides need just as much protection for their head, neck and spine as an adult, but there will not be as much space between the mattress and their heads to fill up, so an extra large, thick memory foam pad may push them out of alignment as much as a weak, flat pillow. Look for side sleeper pillows with a slimmer profile, or use an adjustable type to ensure that the child gets the most benefit from their pillow.Pregnant women need a lot of support for their stomach area, and may appreciate a side sleeper pillow that is both firm, yet moldable. Shredded memory foam is a great choice because it offers all of the support, but bends easily to wrap around their body as it changes. Memory Foam: Unlike other types of foam, memory foam snaps back into its original shape quickly, and resists flattening completely. This moldable quality allows memory foam to match your body’s contours and change immediately as you move without extra fluffing. Shredded foam is the best choice because it allows you to bend and mold the pillow easier than a solid piece of foam. Shredded foam also lets air move freely through the material for better temperature control. A solid memory foam core is good for those who desire an extra firm pillow, but should offer plenty of ventilation shafts through the core to let air move, and prevent body heat buildup. Water-Fill or Buckwheat: Side sleeper pillows made with a fillable inner core provide the ultimate in body conformity. The one drawback to a water-filled pillow is that water is an excellent heat conductor, so they can become warm due to body temperature. Another great option for extra conformity is buckwheat filling. Like water, buckwheat moves fluidly because of its small size. The tiny gains also prevent uncomfortable knots in the pillow material for a soothing sleeping surface. 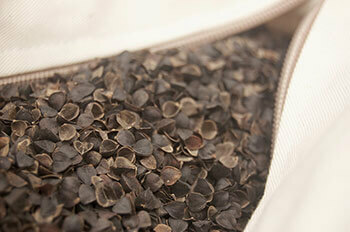 Buckwheat filling is also great for releasing heat and allows the pillow to remain cool all night long. A good side sleeper pillow made with a buckwheat interior should allow you to adjust the level of fill to provide the perfect level of resistance. Gel-Fill: Gel sounds like a gooey substance that you wouldn’t want anywhere near your bed. However, it really has nothing to do with a liquid. Instead, gel-fill is actually micro-fibers of memory foam that exceed the conforming ability of even shredded foam. They are easy to clean, hypo-allergenic and provide a great support system for your back and neck. The disadvantage to using this type of filling is that it can be too soft for some sleepers, and it forms clumps easier than other forms of side sleeper materials. Latex: This is a firmer material than memory foam and while it will conform to your body shape, it won’t flatten out. That makes this a great choice for people who solely sleep on their sides since it gives unyielding support to the neck and spine. However, for side sleepers who shift from stomach to side or back during the night, this type of core can be too unforgiving. The terms used can be in regards to thickness or firmness, but they both mean roughly the same thing, how much padding there is inside the pillow. The only side sleeper pillows that do not come with these choices are those that can be adjusted by the user such as water-filled or buckwheat filled. Stomach sleepers need a thinner pillow to keep from forcing their lower backs out of alignment while sleeping. Side sleepers do better with a thicker pillow to support their necks and keep their spines straight. Remember that as much as 20% of the surface your body uses on the bed is comprised of the pillow. That makes your choice of the right side sleeper pillow important when it comes to a good night’s sleep. The pillows listed here are the best of what is available for side sleeping support. Get one from Amazon.com today and find out how much better your night can get. We bought the iso-cool memory foam pillow for our daughter, as she’s always had a hard time sleeping and would wake up throughout the night in a sweat. After doing research and hearing from others, we decided to try it out. The first night was perfect. She slept through it and woke up completely refreshed in the morning. A whole new person. The cool pillows do work, and she is proof of it. At first I was wary of a water-based pillow. But when I received it and started using it, all my doubts went away. And any pillow that YOU can adjust for YOUR comfort is tops for me! Will never sleep on another regular pillow again! And as a back-sleeper, it was hard to get comfortable, but this pillow was just what I needed. I seen alot of reviews sayin the pillow becomes covered with mold/mildew over time have you seen this? I had bought the buckwheat pillow because I liked the idea that you can actually adjust the thickness of it yourself to find the perfect way to sleep. And I love how everything about it is organic. And as a side-sleeper, this was perfect! As a side sleeper, I have bought the Beyond Down Gel Side Pillow and it is the best that I’ve ever used. And the King-sized one is perfect for me. The quality of my sleep has increased a great deal. 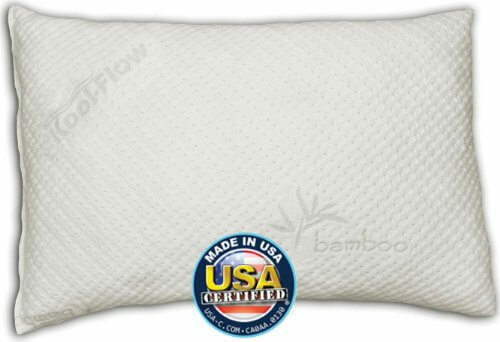 As I’ve had a hard time for years and years to get a good nights’ sleep, a friend recommended getting the Shredded Memory Foam w/Bamboo Covering…..and it is the BEST piece of advice I have ever gotten! I can now sleep through the night on a cool pillow, and my neck and back pain had decreased so dramatically. (I still have some as I am a nurse). The price at first was a bit of a shock…..for a pillow. But you definitely get what you pay for with Coop Home Goods. I will be gifting these pillows for Christmas this year.